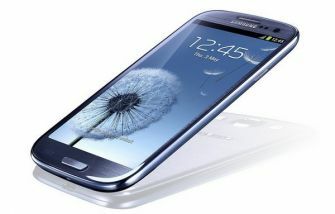 Samsung's Galaxy S3 is the successor to the hugely popular S2. The new flagship phone is "designed for humans and inspired by nature" - and includes lot's of smart software for voice recognition, gesture control, smart sharing and intelligent camera features. The phone has a 4.8" 1280x720 HD Super AMOLED (306 PPI, with Pentile), a quad-core 1.4Ghz CPU (dual-core 1.5Ghz in the US models), 1GB of RAM (2GB in the US models) and an 8 mp camera (1080p video). The phone weighs 133 grams and is only 8.6 mm thick. The S3 is now shipping worldwide. In the US it costs around $150 with a contract and is being offered by AT&T, Verizon and Sprint. You can also get it unlocked for $799.